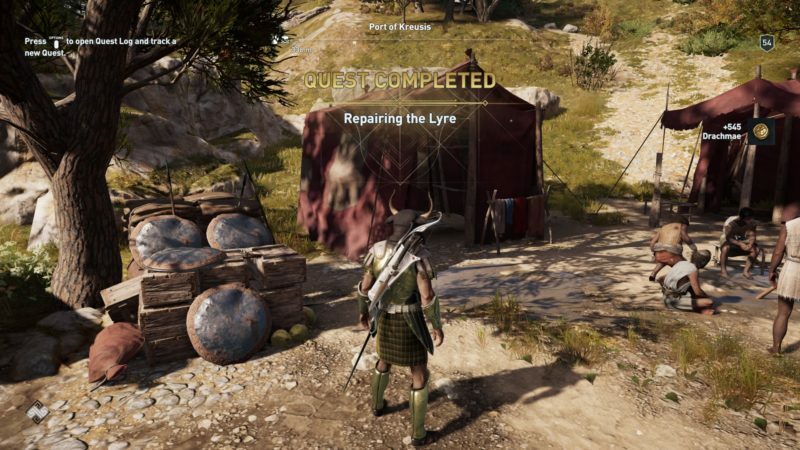 Repairing the Lyre is a quest in Assassin’s Creed Odyssey under A Poet’s Legacy. 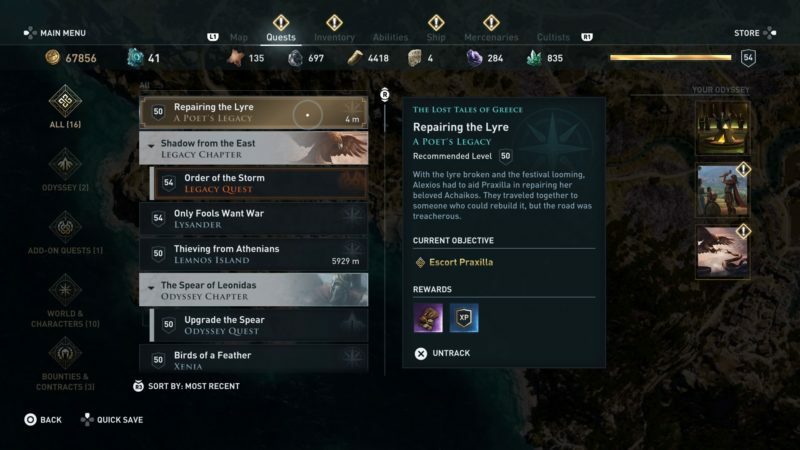 As Praxilla’s lyre is broken, you need to find materials from three places to fix it. 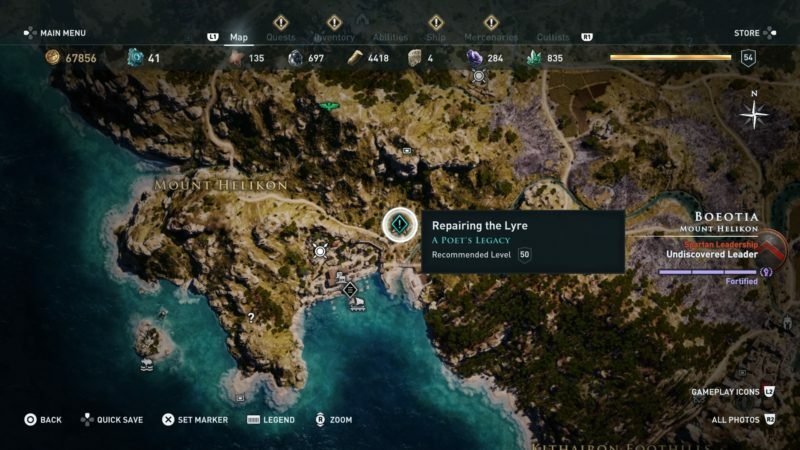 Here’s a walkthrough of Repairing the Lyre in AC Odyssey. 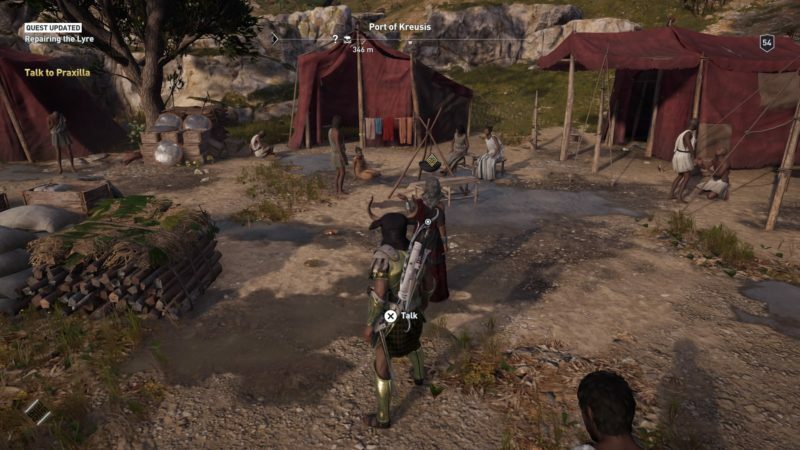 To begin the quest, get to Boeotia in the exact location shown below. 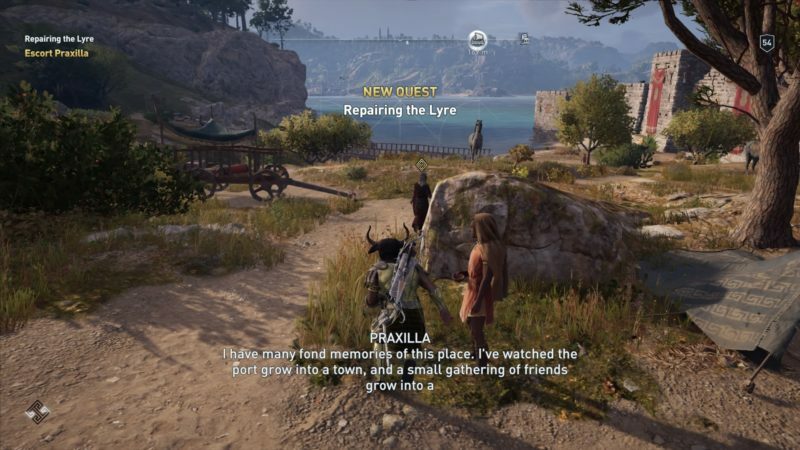 Talk to Praxilla to begin the quest. 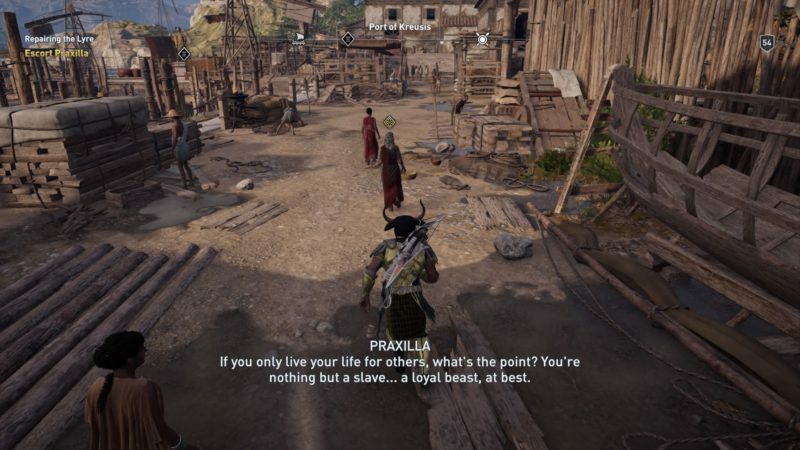 The first objective is to follow Praxilla to the docks. 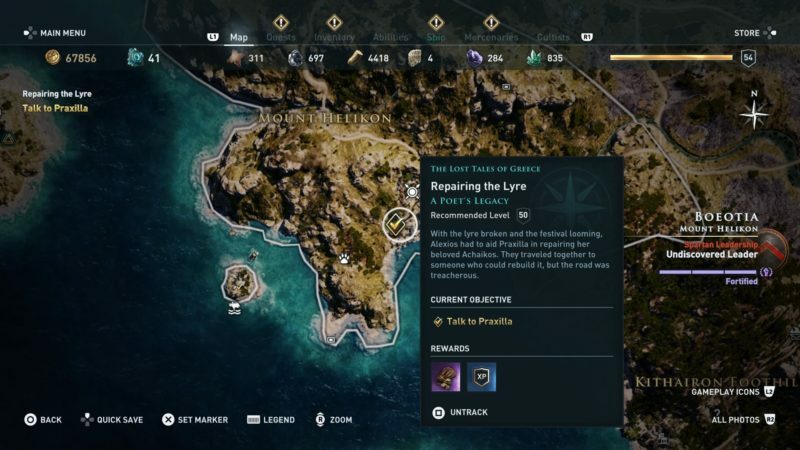 She will get to the Port of Kreusis. Once she stops walking, talk to her to proceed. 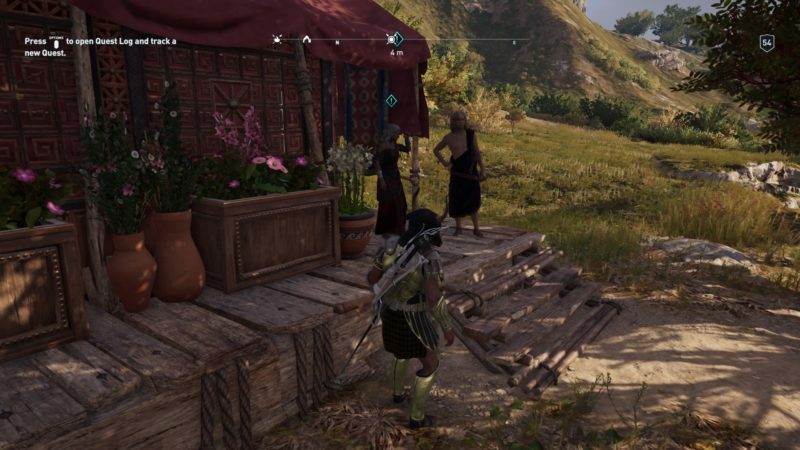 There’ll be a cutscene and her friend would be able to fix the lyre. However, she needs three different materials. The first ingredient she needs are wolf intestines. You need three of them, which means three wolves will suffice. 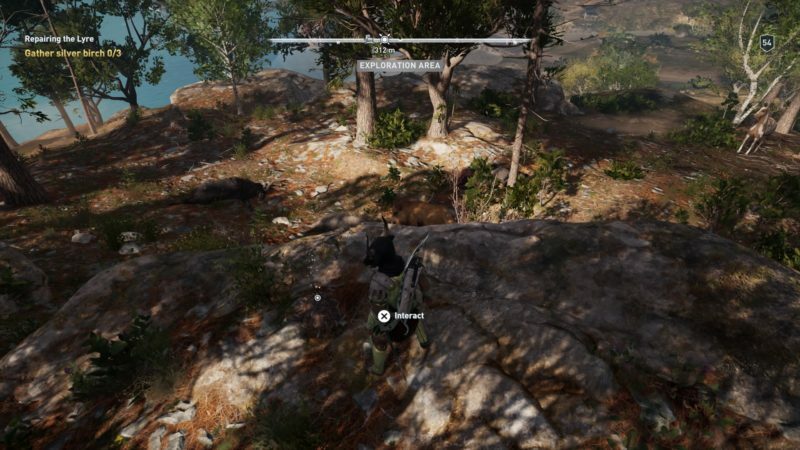 You can find some wolves in the exact location below, marked by the cursor. 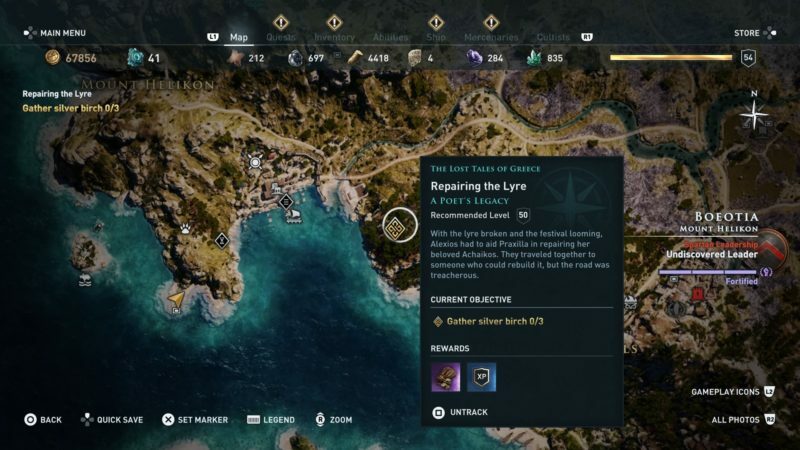 It’s near the fast travel point. 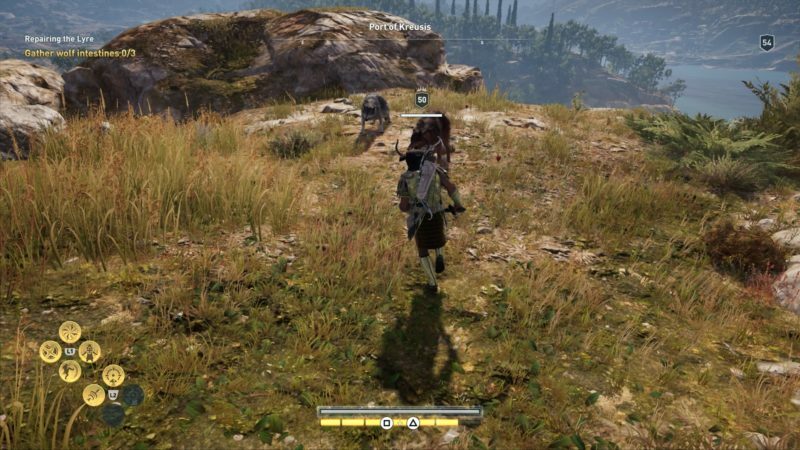 After killing the wolves, loot the intestines and you’re done here. The next ingredient are shells. You have to gather 3 shells. 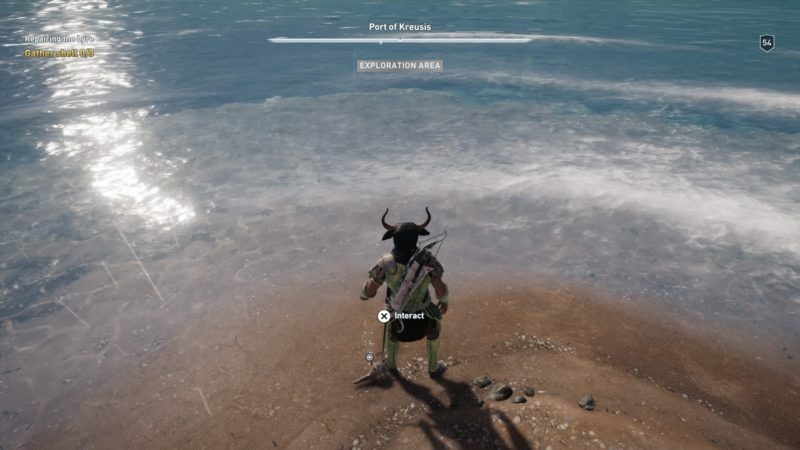 They can be found in the exact location shown in the map below. It’s right at the seaside. 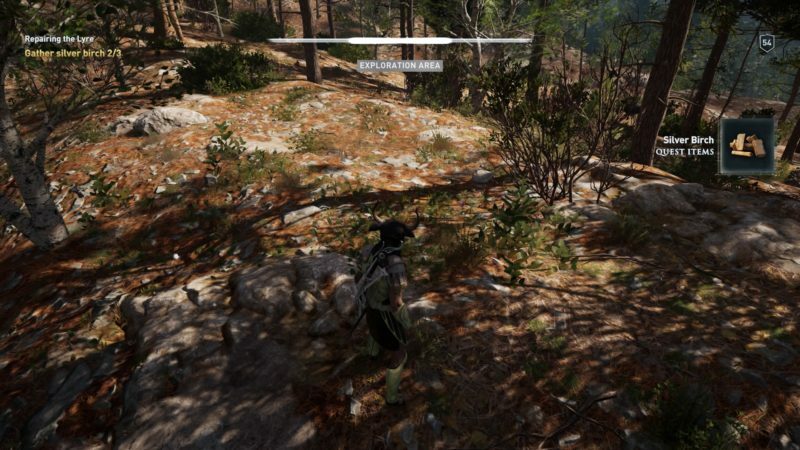 The shells are pretty small but you will see the “interact” button popping up. Collect 3 of them. All are nearby. Lastly, you need to get 3 silver birches. 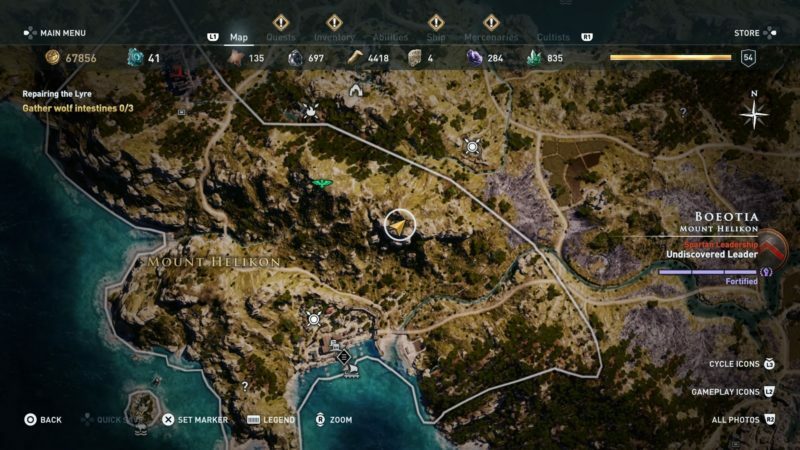 You can find them in the exact location shown in the map below. 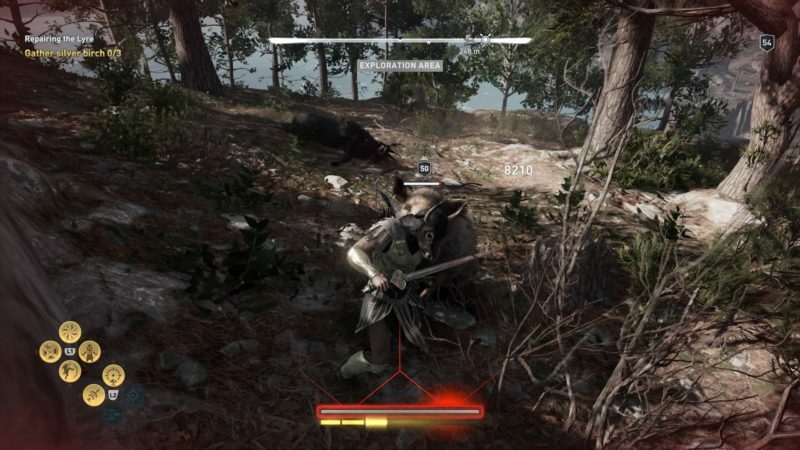 Before doing that, you may need to defeat the boars that are in the area. There are about 3 of them. Once you’re done, collect these birches from the ground. 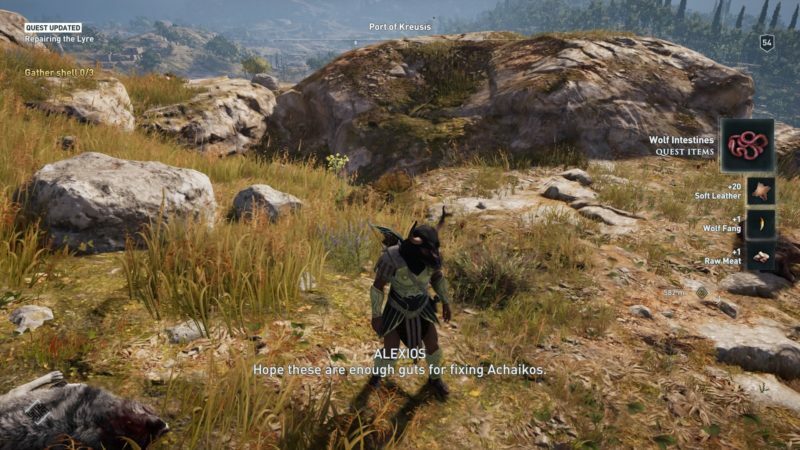 After collecting all of the ingredients, get back to Praxilla in the location below. Talk to her and the quest completes. 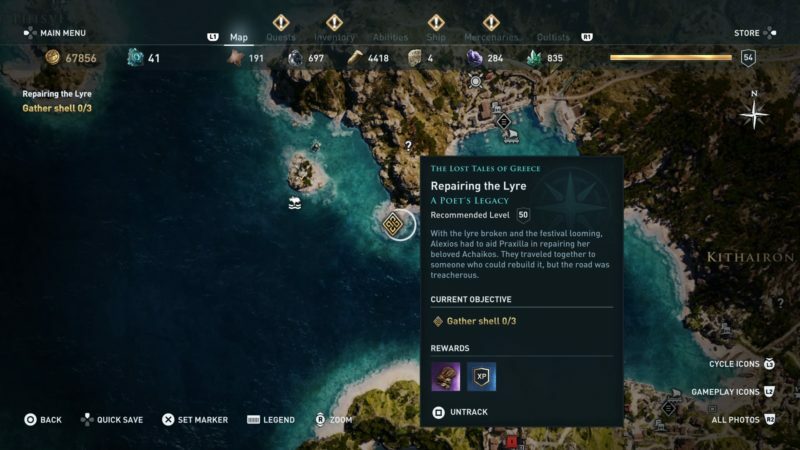 You will earn some drachmae as rewards.